1. When and how did you decide that Child Psychology was the career path you wanted to follow and how did that lead to working within PDA? While studying for my first degree at Lancaster University I was working on a voluntary placement at a large psychiatric hospital in Scotland. While there, I was asked to work on a daily basis with a five year old boy with autism. This was at a time when not all children were entitled to education and many of those with autism were placed in hospital. 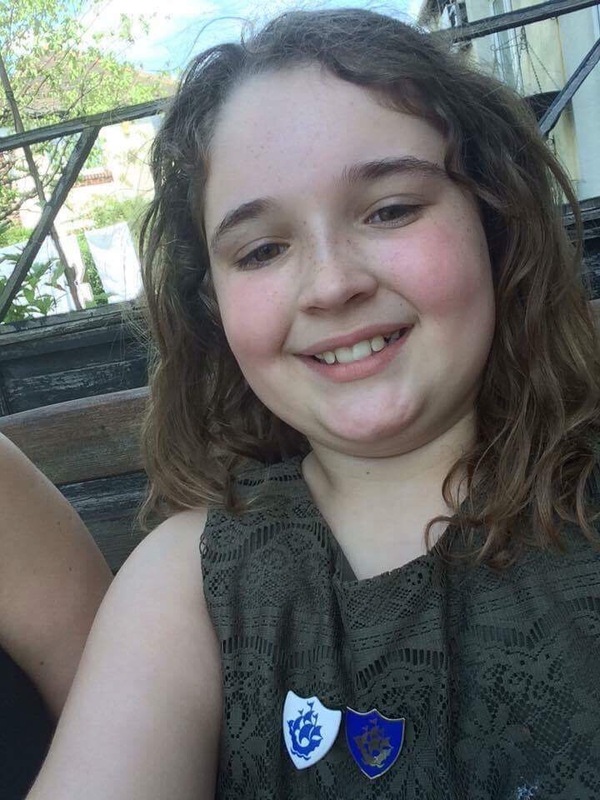 This child and the work that I did really caught my interest and I went on to train in Child Psychology at Nottingham University with John and Elizabeth Newson. I then became a close colleague and friend of Elizabeth’s over many years as I continued my interest in autism at Sutherland House. As part of this Elizabeth and I set up the Early Years Diagnostic Centre (which later became the Elizabeth Newson Centre). Elizabeth inspired and encouraged me in many things, one of which was PDA. Many children we worked with at Sutherland House and saw for assessment at the ENC showed this profile. 2. Do you think a proper PDA diagnosis is important? If so, to what extent? I think a correct diagnosis of any developmental condition is very important in helping people reach a shared understanding of an individual’s needs. Of course every child or young person is an individual with their own personality and profile. The individual will, though, share many underlying characteristics that are common to others with the condition. A diagnosis should help to explain, or ‘make sense’, of why certain aspects of development and behaviour occur and give a context to them. A diagnosis should act as a ‘signpost’ to understanding and give suggestions and guidelines for better support. Without an appropriate diagnosis there is a danger that an individual is misunderstood and doesn’t receive support tailored to their needs. 3. In your opinion what are the ‘must have’ traits for a PDA diagnosis? Elizabeth Newson’s original descriptions gave a list of features that she felt were the criteria for diagnosing PDA. I have said for a number of years that we now need to establish which are central and which are secondary (this is very similar to the way in which the original diagnostic criteria for autism developed). Clearly extreme (or Pathological) demand avoidance is one and this must be demonstrated in a range of ways, including what Newson described as ‘social manipulation’. Surface sociability, excessive mood changes and an anxiety driven need to be in control are also crucial. Ability in role-play and pretend was also highlighted by Newson. I think research is now showing us that we need to better understand the extent and nature of imagination in role-play both within PDA and the autism spectrum more generally. 4. What is your ‘favourite’ PDA trait? I’m not sure that I can answer this – I like the creative thought processes and determination of many of the individuals that I have met! 5. 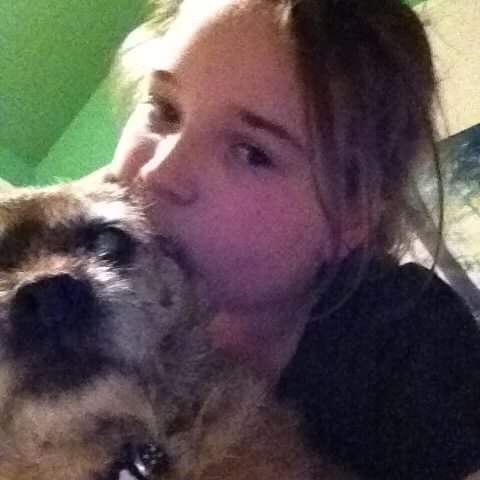 Is it possible to be diagnosed with both PDA and Aspergers? It’s possible that someone might give this as a diagnosis. I personally wouldn’t as it seems to suggest two separate conditions. Clearly, there are overlaps with the diagnostic profiles. Where this is the case I prefer to describe it as the person having an autism spectrum condition which shows elements of PDA and Asperger, or alternatively say they have an overlapping presentation. 6. 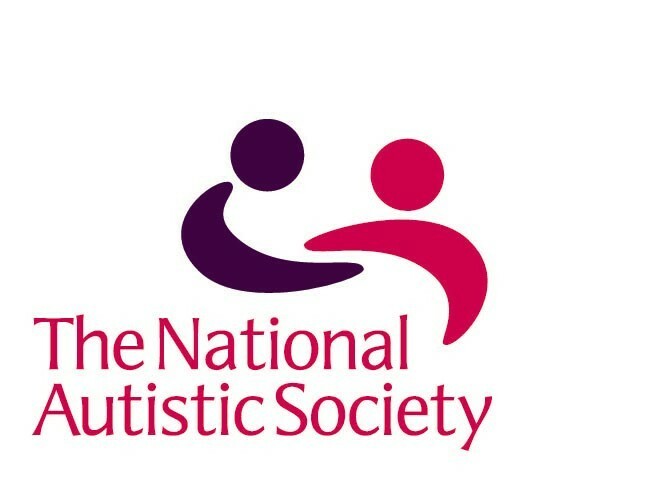 PDA is now being recognised as part of the autistic spectrum in its own right rather than just a related condition. How much do you think that might help current and future PDA recognition and diagnosis? I think it helps enormously as it now gives greater recognition and validity to PDA and brings it into to the realm of more autism practitioners and researchers. We still need to do more work on better understanding the essential components of PDA and what makes it distinctive. 7. I believe more research needs to be carried out – would you agree with this statement? If so, which areas need most focus? Yes definitely but real progress has been made in the last few years and momentum is building. I think priorities include better understanding of the precise nature of the condition/defining criteria, particularly the area of social and emotional understanding. As I’m sure you are aware very little is known from a research point of view about pathways and prospects into adulthood. Evidence based work around educational strategies is also needed. The list goes on really. 8. Why do you think some professionals are so quick to dismiss PDA as a valid diagnosis? Being dismissive is not a trait I admire in professionals! We all need to be open-minded and listen to other views. Professionals generally are much less dismissive than they were about PDA, partly because of the growing research base. At the heart of this, amongst some clinicians at least, is that PDA is not in the diagnostic manuals (DSM and ICD). Some areas/organisations have protocols about the diagnostic terminology that is used. The response to this can be very complex but there are two points that I often make. Other clinicians point out that the manuals are more concerned with research reliability than they are with clinical validity (ie descriptions that help make sense of an individuals presentation). We need to ask the question in diagnosis about what it’s for. The second point is that there are subsequent versions of each manual (DSM 5 and ICD 10 are current). Terminology and categorisation changes over time, in the light of research and clinical understandings. If we don’t start to use a term (however tentatively) until it’s in the manuals how can we start to do research which better helps to understand the validity of the concept? You can order your copy of “Understanding Pathological Demand Avoidance Syndrome In Children” HERE, which Phil Christie co-wrote. 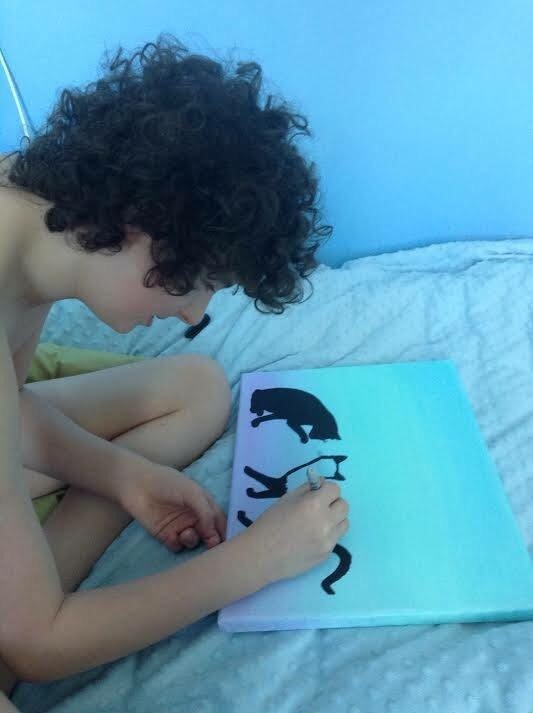 A month or so ago something came up in my newsfeed that really caught my eye – a page called Elliott’s Creations For Donations – so I clicked on the link and I was blown away by this young mans incredible talent. 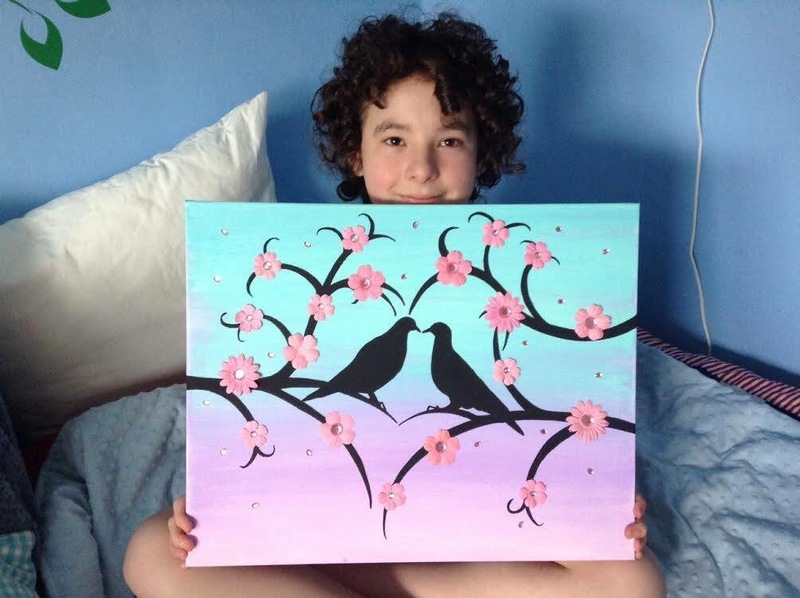 Elliott really is an inspartation to so many, including me, and is such a talented young artist. 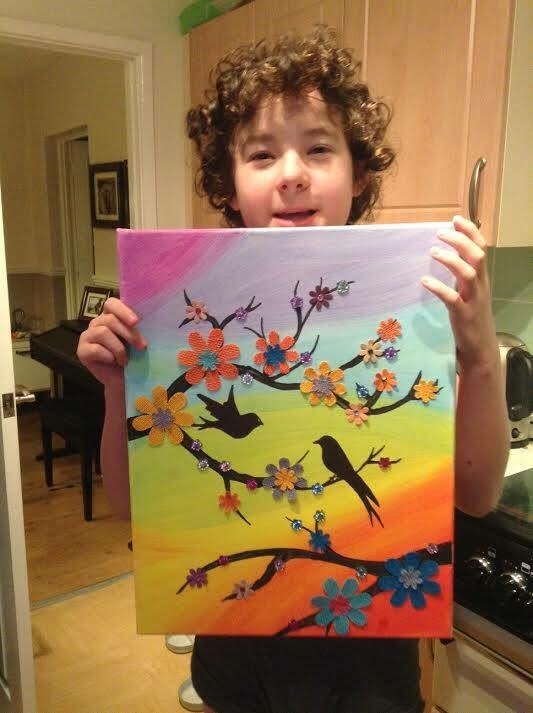 His work gives so many great happiness and joy and this is his story told by his mum, Lucy…………. Elliott is our amazing, funny and intelligent 12 year old son. He loves computer games, coding and animals, especially his pet dog Molly and cat Rosie. He loves spicy food and eats non stop! In many ways he is a regular 12 year old boy. However, life hasn’t been easy for Elliott. 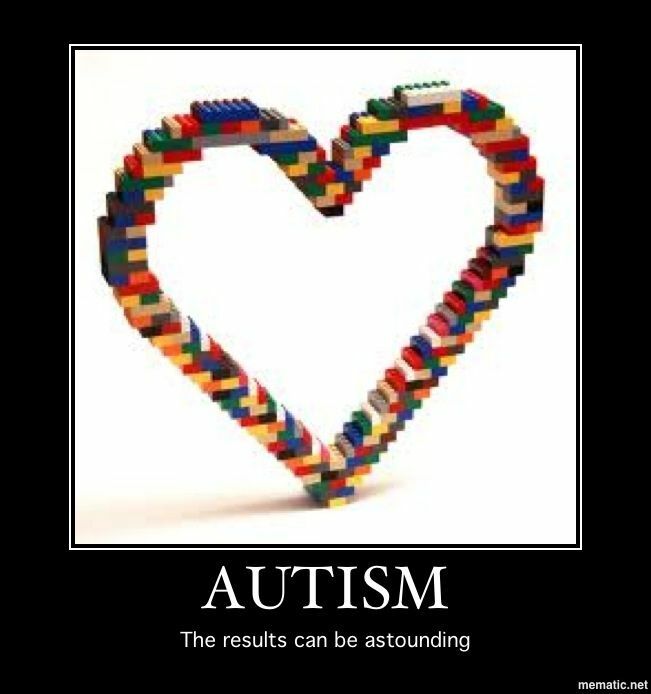 We’ve always known he was different and when he was 8 he was diagnosed with autism. Finally we understood why he couldn’t say ‘mummy’ until he was 5, why he didn’t like toys, why he hated clothes, why he was terrified of noise, why he would sit watching the washing machine for hours and why he would spin in circles. Although we knew deep down, it still came as a shock and a hard thing to hear. Sadly, things continued to get harder for Elliott and he struggled to cope at school, getting more and more anxious. The usual autism strategies didn’t seem to be helping, if anything they seemed to make him worse. Eventually he became so anxious that just stepping through the school door would send him into such a state of panic that he would completely melt down – hitting, biting, trying to strangle himself. The last day he attended mainstream school was when I was called to pick him up just minutes after dropping him off, and he was being pinned down by several members of staff. I looked into his eyes and he was utterly terrified…like a trapped wild animal. I took him home, wrapped him in a blanket and rocked him – it took hours for him to stop crying and shaking. I knew at that point that he was never going back to that school. Next came the fight to get him into a special school. I never realised what a stressful, long process it would be. Elliott was a whole year at home without any education before finally a special school place was found. The damage that was done in that year was huge – he stopped trusting people, he isolated himself and wouldn’t speak to anyone. He struggled to leave his bedroom and then to even open his curtains. He wouldn’t look into a mirror because he hated himself so much. He would spend hours just lying on the floor cuddling his pillow, listless and unresponsive. It broke my heart to see him like this. We were so pleased when finally a special school place was found, and then began the transition to try and get him back into school. 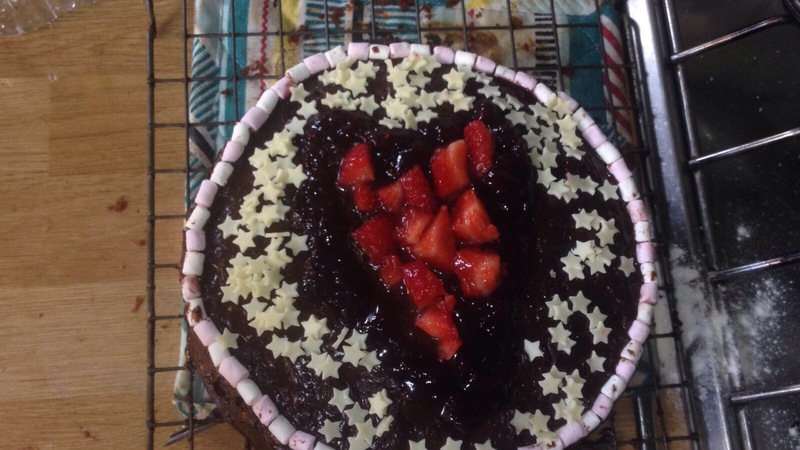 The relief of having teaching staff who understood his autism was enormous. Elliott was to go into a class of 8 which we hoped was much more manageable than the class of 30 he had been in before. As expected the transition was lengthy, and there were many difficulties along the way. Eventually it became apparent that even in a small class, Elliott was unable to cope. He started sleeping in school as a way of shutting everything out, and he would also have huge meltdowns where he would trash everything and try and hurt himself and other people. 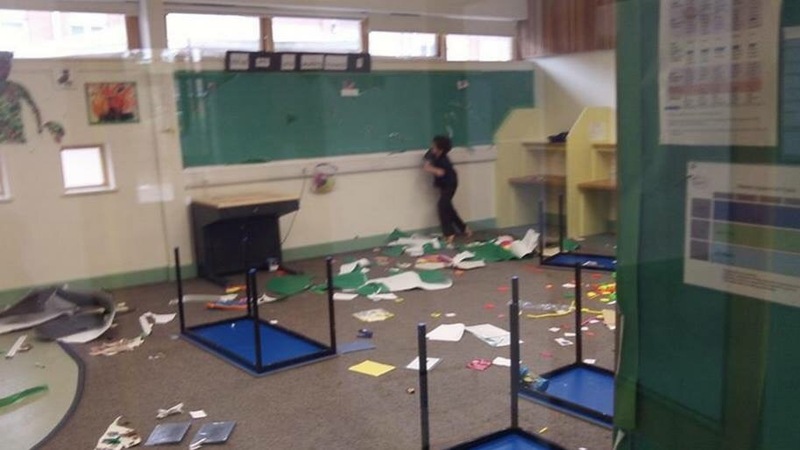 The teaching staff tried everything they could think of, eventually moving him into the sensory room so he had a space of his own. Things at home were awful, his anxiety at school would show at home with massive meltdowns that were aggressive and long lasting. He would lash out, was unaware of what he was doing and he was hurting everyone around him including his three younger siblings who were becoming scared of being at home. He also tried to strangle himself with clothing, bite his arms and hurt himself. And because he was sleeping in school, he would often be up all night. We were all exhausted. 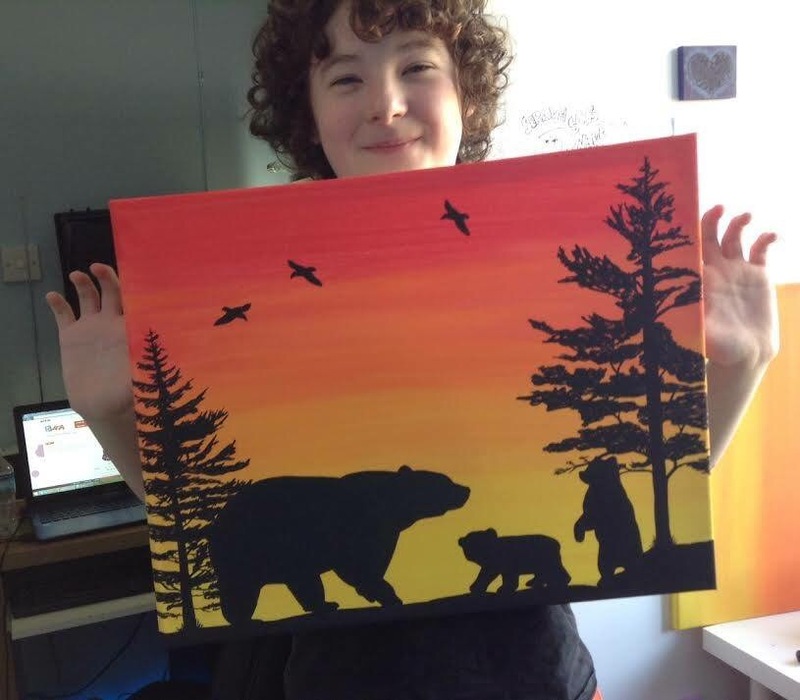 We reached breaking point and had to make the horrible decision that Elliott needed to move into a children’s home and at this point his school felt they could no longer meet his needs, so he was again without a school placement. It was traumatic and heartbreaking for everyone, it hurt more than when my mum died, so much so that I still don’t feel able to go into further details. 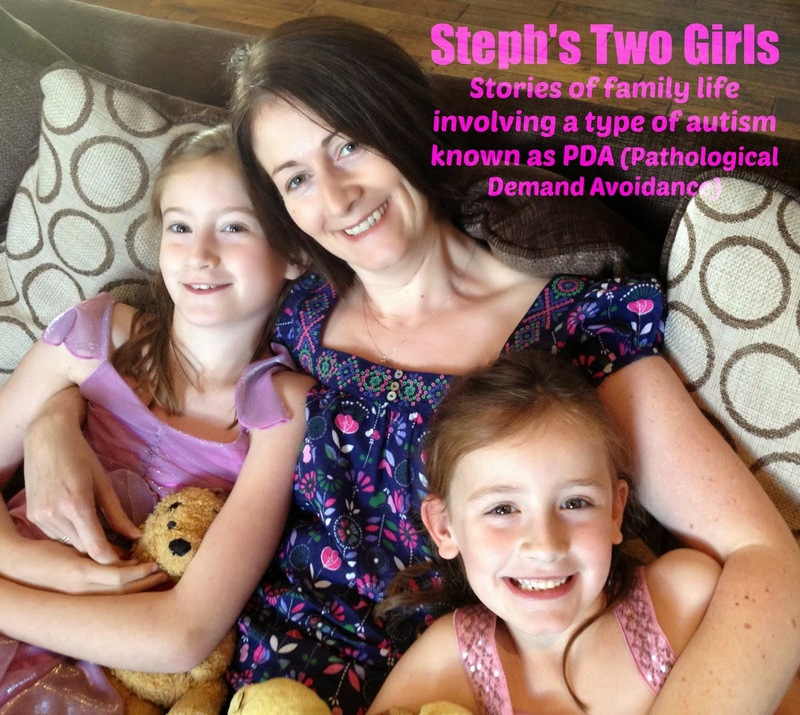 During this time, Elliott was diagnosed with PDA – Pathological Demand Avoidance. It’s part of the autistic spectrum, but the strategies for handling the condition are very different from usual ASD strategies. Its biggest characteristic is the avoidance of demands due to anxiety. Well this explained why he had struggled even more in a typical ASD school! I attended a full day course about PDA, presented by Phil Christie, and felt like the whole day could have been about Elliott – he fitted the description perfectly. I started using PDA strategies such as offering choices, disguising demands, etc and I started to see this made things a little easier for Elliott. Eventually, after a few months, in March 2015, Elliott’s school came up with a solution that we hoped would meet his needs. 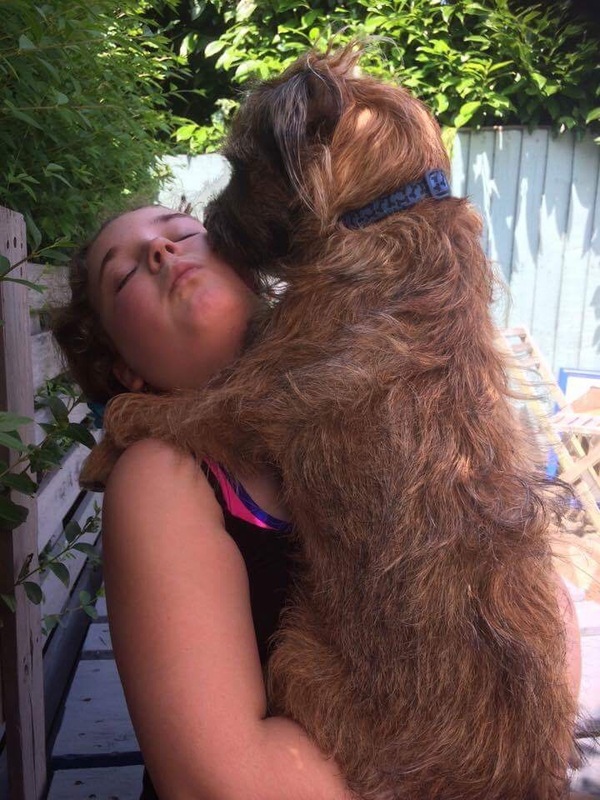 It involved a new provision that would be at one of their different sites, and Elliott would have his own classroom and playground and staff who understand his PDA. When Elliott went to have a look around, he couldn’t stop smiling – he was so excited! He wanted to do something to say thank you to his new headteacher and so decided to paint her a picture. He really enjoyed doing it and found it very calming! He then painted a picture for one of his teaching assistants for her birthday. People really liked his paintings and started to ask if they could buy one. Elliott wasn’t interested in making money out of it (apparently he is quite content with his pocket money!) and decided he would like to raise money for charity. 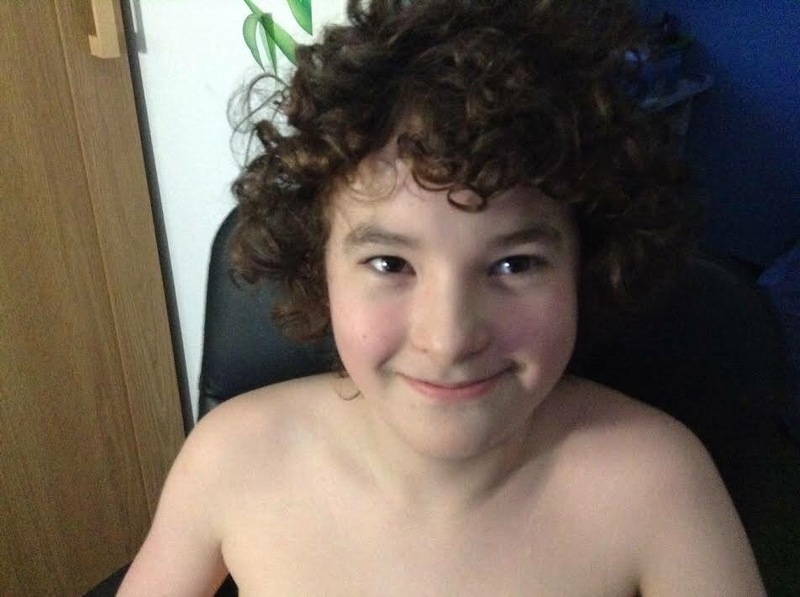 His sister had recently cut off her hair for charity and raised £1500, so he was keen to do something himself – and cutting off his curly locks was not an option!! 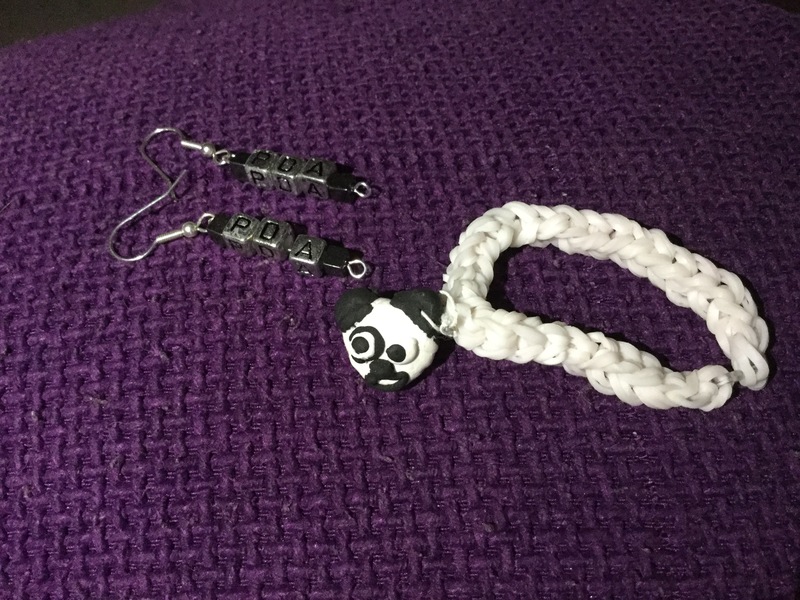 We made a Facebook page for him – Elliott’s Creations for Donations – and he decided he would like to raise money for his school (Kingsweston Special School) and the PDA Society. At the last count he had raised £1602!! 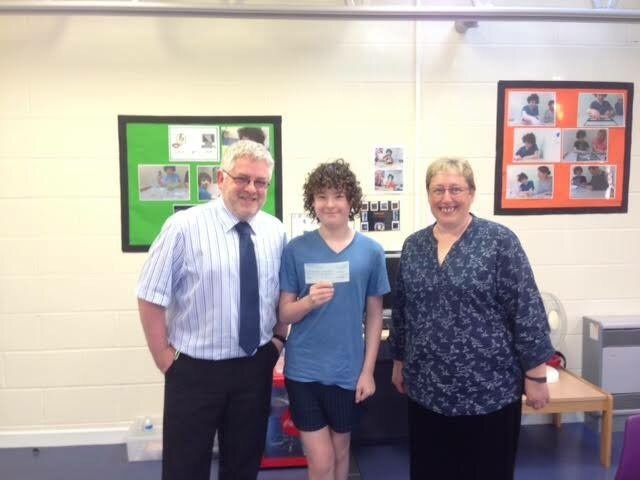 He has so far donated £500 to The PDA Society and £1000 to his school. The support he has received from everyone has been incredible, people have been so kind and generous. It has helped him slowly start trusting people again, and he is starting to come out of his shell and is so much happier! Of course things are still tricky, they always will be due to his complex condition. Last week he spent hours avoiding saying the number 5 as it was the answer to his maths question – he came up with every excuse under the sun why he couldn’t say it!! He struggles to walk because of the expected demand of going from one place to the other, so we often have to use a wheelchair. He won’t use any toilet other than at home. He is terrified of most public places due to alarms – he is incredibly noise sensitive. He still hates wearing clothes and hasn’t worn shoes or socks in over a year! This venture has been such a positive thing for Elliott, and as long as it stays that way we will keep encouraging him. We are so proud of our son.